In Portugal, judicial litigation is the most widely used type of dispute resolution. In fact, the majority of conflicts are resolved by the national judicial system, through its large court network, subject to specific and complex procedural rules. However, owing to the lack of efficiency of the Portuguese judicial system, the importance of arbitration and other alternative dispute resolution methods has been increasing significantly. There are three levels of judicial jurisdiction in Portugal: first and second instance courts and the Supreme Court. Within the first instance there are specialised courts for specific matters, such as civil, criminal, commercial, labour, family, competition and intellectual property rights courts. Since the length and duration of judicial proceedings are still the main problem of dispute resolution in Portugal, during recent years the state has been actively amending the legal system. In order to address the growth of judicial litigation and to improve the effectiveness and the level of specialisation of the courts and judges, the state has not only implemented procedural rules but also improved its infrastructures (building new courts, implementing new technologies) and modified the structure of the judicial organisation. In 2018, no major judicial reform was carried out. As was the case in 2017, this was a year of stabilisation and consolidation of the legislation that has been in force since 2013 and 2014. This change in legislation has not yet proved to be as effective in reducing the length of proceedings as expected, with the exception of procedures in the appeal courts. In the past year, a huge improvement in the digital access to courts and their pending proceedings has taken place. Previously, only the parties had digital access and they could only electronically submit the pleadings regarding civil proceedings pending in the first instance courts. However, since 2018 all the judicial proceedings, including those pending in appeal courts, are digitally available, except for the pretrial stage of the criminal proceedings. These new technological developments are expected to generate a decrease in costs and to promote the more efficient and expedited resolution of conflicts. The resolution measures applied by the Bank of Portugal to Banco Espírito Santo (which was one of the biggest Portuguese private banks) in 2014 and to Banif (a Portuguese private bank) in 2015, respectively, are still contributing to an increase in the number of client, shareholder and bondholder disputes. Litigation costs have continuously increased in recent years. According to the Litigation Costs Regulation, parties involved in court proceedings are obliged to pay court fees. The exact amount to be paid depends on the value of the claim, which means that the higher the value of the claim, the more court fees will be charged. However, in cases where the value of the claim is above €275,000, the losing parties may request the court to relieve them of the payment of a large percentage of the court fees. The high cost of litigation has been under discussion and the government will probably take some measures to make the cost more reasonable and fair. Although this trend has slowed down slightly in recent years, the economic crisis is still influencing the upsurge in lawsuits and insolvency proceedings of a heightened level of complexity and value. The Insolvency Law was amended (and came into force on 20 May 2012) to introduce fast-track court approval procedures for restructuring plans, which have proved to be successful. In particular, the Special Recovery Procedure seeks to provide borrowers with some leeway in negotiating recovery plans with their creditors in the event of imminent insolvency. The Special Recovery Procedure was recently amended and the major change is that it is no longer applicable to any debtor facing a situation of insolvency. It is now only applicable to companies. That being said, a new special procedure was also created, which is applicable to natural persons, with the difference of being much more simplified than the Special Recovery Process. Another legislative novelty was the implementation of extrajudicial regulation for the recovery of companies (RERE), which replaced the extrajudicial system of company rehabilitation (SIREVE). This new regulation allows a debtor facing economic and financial struggles to negotiate with its creditors in order to reach a free and confidential restructuring agreement. This is an extrajudicial process, which means that it takes place without the intervention of the courts. Along with the implementation of RERE, other legislative changes included the creation of a regulation for the conversion of credits into capital, a regulation regarding the mediator of the companies' recovery and a regulation on the appropriation of a pledged asset in the context of commercial pledges. Both civil and criminal proceedings include different stages. Generally, proceedings are initiated by the parties submitting pleadings, followed by a stage in which evidence is provided. The Civil Procedure Code establishes that all witnesses must be indicated in the claim at the time it is submitted. Subsequently, the trial takes place and the court issues its decision. Finally, provided that specific conditions are met, the parties can appeal the judgment. There are two kinds of civil proceedings: declarative and enforcement. Through the former, the court's decision has res judicata effect. According to the Civil Procedure Code currently in force, the court decides on issues raised by the parties. The court may only take decisions on facts that were not raised by the parties if those facts are instrumental, complementary or noticeable. The court can only convict the defendant to the extent required by the claimant. forcing the counterparty to carry out a certain action. Said enforcement proceedings are filed based on an enforcement title that can be a previous court decision or certain documents established at law (for instance, some contracts, mortgages or deeds provided that the documents are signed before a notary public2 or certified by the same, and also cheques). Usually it takes one to three years for a final court decision to be issued in ordinary declaratory proceedings, while enforcement proceedings tend to take from one to two years. To avoid damages resulting from the delay in court decisions and to ensure the effectiveness of the final decision, a claimant may request that the court issues an adequate preliminary injunction, which are urgent proceedings that can take from three to six months. The above-mentioned time frames are indicative, as the proceedings may be longer or shorter, depending on the workload of the court before which the claim is filed and the particular circumstances of the case, as well as the arguments put forward. Since 2014, it has been possible to launch a pre-enforcement extrajudicial proceeding3 that allows the claimant to verify whether the defendant has any attachable assets before filing a claim. Unlike civil proceedings, where the parties play a major role (although courts play an increasingly important role under the new Civil Procedure Code), in criminal proceedings the court has total control of the case and the duty to seek the truth. In this respect, the court may order the execution of any proceedings required to uncover the truth. Generally, ordinary criminal proceedings in Portugal take two years, but in specific cases, such as white-collar crimes, proceedings tend to take longer. Once again, the duration of the proceedings provided here is also merely indicative. As an attempt to reduce the length of criminal proceedings, the amendment to the Criminal Procedure Code4 of 2016 expanded the range of crimes that can be prosecuted under a summary procedure. guarantee the defence of state property, the property of the autonomous regions or of the local authorities (e.g., municipalities). Class or group proceedings can be brought by individuals, associations and foundations created for the defence of relevant interests (regardless of their direct interest in the case), and local authorities regarding the interests of their residents, within their respective areas. In civil proceedings, parties must be represented by a lawyer whenever the value at stake exceeds €5,000, or when the proceedings are taking place before the higher courts. In criminal proceedings, individuals considered formal suspects must be assisted and represented by a lawyer at several stages. Therefore, the assistance of lawyers is mandatory, among other matters, during interrogation, trial and appeal. As regards the representation of victims, specific acts must also be carried out together with the assistance of lawyers, such as filing personal claims or appeals. Conversely, witnesses may also be assisted by lawyers, but only to ensure that they know their rights. Pursuant to the Civil Procedure Code, when a defendant's domicile is located outside the Portuguese jurisdiction, the initial summons or other notices requesting attendance to court will be served by post, by means of a registered letter with acknowledgement of receipt, unless applicable international treaties or conventions provide otherwise. Other notices will be served to the lawyer appointed by the party. Service of judicial and extrajudicial documents in civil and commercial matters within the European Union is governed by Council Regulation No. 1393/2007 of 13 November,5 in which the particular formalities are set out, especially concerning the obligation to serve notice through the public authorities of the addressed state and to comply with specific rules of the relevant jurisdiction. In criminal proceedings, notices for parties whose domicile is outside the Portuguese jurisdiction will be served according to the rules set out in international treaties and conventions. Portugal is a party to the Convention on Mutual Assistance in Criminal Matters established between Member States of the European Union of 29 May 2000. Pursuant to this Convention, as general rule, each Member State sends procedural documents directly to the persons who are in the territory of another Member State, by post.6 In certain cases, however (e.g., if the procedural law of the state requires proof of service of the document on the addressee other than the proof that an ordinary letter can provide), the documents will be sent through the competent authorities of the requested Member State. Portugal is also a party to the European Convention on Mutual Assistance in Criminal Matters of 20 April 1959. Pursuant to this Convention, documents will be served by means of letters rogatory sent to the competent entities of the state concerned. Within the EU, Council Regulation No. 44/2001, 22 December 20007 sets out the conditions under which a judgment (concerning civil and commercial matters) issued in a Member State can be enforceable in another Member State. Therefore, pursuant to this Regulation, a judgment issued in a Member State and enforceable in that Member State may be enforceable in Portugal when, upon filing of a judicial application by the interested party, the court has recognised the enforceability of the judgment. The application of enforceability is filed before the competent superior court. the acknowledgement of the decision is not patently incompatible with the public policy of the Portuguese state. Portuguese courts can provide assistance to foreign courts when required by means of letters rogatory, unless the execution of the requested proceedings violates Portuguese public policy, the letter rogatory is not duly legalised, the execution of the requested proceedings compromises national sovereignty or security, or the execution of the requested proceedings leads to the execution of a foreign court decision subject to confirmation by the Portuguese courts. The Civil Procedure Code, as a general rule, provides that court files may be accessed by the parties, lawyers or any person with a relevant interest in the proceedings; however, the examination of court records is more restricted when the disclosure of information may cause damage to a person's dignity or privacy, is contrary to public values (e.g., adoption or divorce proceedings) or may harm the effectiveness of the decision to be issued by the court, such as, for instance, in interim application proceedings. In addition, the Criminal Procedure Code, as a general rule, provides that parties and lawyers are allowed to access the court records. Nevertheless, the examination of court records at the investigation stage always requires the public prosecutor's or the judge's authorisation. Third parties who have relevant interests in the proceedings may also request authorisation to access court files, unless the proceedings are confidential. This occurs whenever the public prosecutor or judge forbids the parties and their respective lawyers from accessing such records during the investigation stage, since their disclosure could interfere with the investigation or cause damage to any of the parties. In Portugal, disinterested third parties cannot fund litigation. 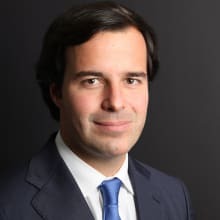 Conflicts of interest are currently a central issue in the Portuguese legal system, which promotes the prevention or prohibition of any conduct that may lead to such a conflict by a lawyer or law firm. The regime seeks both to protect and to promote the dignity and independence of a lawyer in his or her role as an active participant in the administration of justice and to ensure the relationship of trust that must be established between a lawyer and his or her client. The main sources of law regarding conflicts of interests for lawyers are the Regulations of the Portuguese Bar Association (the Regulations), the regulations of law firms and the Criminal Code. These sources are complemented by the opinions and decisions of the Portuguese Bar Association. Finally, the provision of legal services in Portugal by lawyers from the European Economic Area is also subject to the Code of Conduct for Lawyers in the European Union, as approved by the Council of the Bars and Law Societies of Europe. The Portuguese Bar Association is primarily responsible for supervising and ensuring compliance and enforcement of the law, and it has disciplinary power over its members. The decisions of the Bar Association can be appealed before the administrative courts. Furthermore, the courts are responsible for the enforcement of the law in any proceedings other than disciplinary proceedings. Article 370.2 of the Criminal Code establishes that specific acts of misconduct related to conflicts of interest by lawyers are criminal offences. Thus, a lawyer who acts under a conflict of interests, with the intention of harming his or her client, will either be penalised with up to three years of imprisonment or with a fine. The Regulations establish the duties that lawyers are obliged to comply with in their relationships with clients. Article 99 deals specifically with possible causes of conflicts of interest, establishing several duties upon lawyers to prevent them. The lawyer's wilful or negligent violation of the foregoing rules may give rise to disciplinary liability, which is independent of any potential civil or criminal liability. It is particularly worth noting that Portuguese law is moving towards the exclusion of Chinese walls or 'firewalls' as valid mechanisms to overcome limitations imposed upon law firms, but the practical application of the law has yet to be fleshed out by case law, opinions or decisions of the Portuguese Bar Association. While it is unlikely that new legislation on this subject will be approved, it is foreseeable that future decisions will detail and clarify the limits that ought to be respected by lawyers and law firms. The European Parliament and the Council decided to create special rules to prevent and punish money laundering within EU territory. For that purpose, the relevant EU bodies passed two important directives: Directives Nos. 2005/60 and 2006/70. The aforementioned Directives were transposed into the Portuguese legal system through Law No. 25/2008 of 5 July. From this date on, financial institutions and a large number of service providers, such as notaries and civil servants, are bound, among other matters, not to participate in any suspicious or criminal activities relating to money laundering and to report such activities to the public prosecutor and the Unit of Financial Information. The EU bodies have continued to produce new legislation regarding this matter, in the form of Directives Nos. 2015/849 and 2016/2258, which were partially transposed into Portuguese law by Law No. 83/2017, which revoked Law No. 25/2008 of 5 July. The new law is more extensive than its predecessor, as it is applicable to a larger number of entities. Lawyers, among others, are now bound by the same duties to not participate in any suspicious or criminal activities relating to money laundering. Obviously, confidentiality issues arise when legislators decide to extend such obligations to service providers like lawyers who are bound by the rules of secrecy. the protection of the legitimate interests of a data controller or a third party, unless these interests are overridden by the interests of the data subject, requires the processing of data. These general rules also apply to the activities of law firms that involve the processing, access or transfer of personal data. On 5 August 2018, Law 23/2018 of 5 June entered into force, which sets out the rules governing actions for damages for infringements of the competition law provisions, and that transposed Directive 2014/104/EU into the Portuguese legal system. the prohibition of the abuse of economic dependence. This Law provides special rules for the compensation for competition law infringements that facilitate the application of competition law for disputes arising between individuals (private enforcement). This source of enforcement of competition law is independent from the enforcement promoted by public entities such as the Competition Authority or the European Commission, with a sanctioning purpose (public enforcement). the incentive to resort to extrajudicial forms of alternative dispute resolution. The Portuguese legal system acknowledges that some professions of social importance cannot exist without confidentiality, as people only feel comfortable disclosing personal or troubling facts if they are certain that those facts will remain secret. In light of the above, lawyers, priests, doctors, journalists, chartered accountants, civil servants, public officials and corporate bodies of financial institutions, among others, have, in broad terms and as established by law, the right not to testify in court or not to comply with orders issued by any private or public entities to disclose or provide information or documentation, whenever the disclosure regards facts or documents relating to their professional activity. In some cases, this prerogative also entails special protection against searches and seizures. For instance, searches inside law firms must be conducted by a judge, unlike most other cases where the presence of the district attorney suffices. Evidence obtained in criminal matters pursuant to illegal searches or seizures will be considered void and illegitimate in court. Notwithstanding this, the scope of protection granted under Portuguese law differs according to the professional's particular practice. Priests and lawyers, for instance, benefit from a broader and stricter protection, while employees and corporate bodies of financial institutions do not. In fact, while financial secrecy can easily be waived with the consent of the interested client, the disclosure of facts by lawyers always depends on the intervention of the Portuguese Bar Association. However, privilege is not an absolute right and, in most cases, excluding religious matters, it is possible to break it, albeit through a complex procedure. The key rule on this issue is found in Article 135 of the Portuguese Criminal Procedure Code, which establishes that only superior courts may decide whether privilege should be broken and thus consequently force the disclosure of protected facts. The existence of this rule does not jeopardise the general protection granted to professional privilege in Portugal, as the superior court's decision must always be taken according to the principle of the most important prevailing interest, which binds the court, among other matters, to consider the seriousness of the crime and the interests pursued in the criminal procedure. The application of this principle has driven courts to decide that, for instance, it is not permissible to break privilege to investigate minor offences. Although Portuguese law widely respects this privilege, in recent years there have been some troubling court decisions limiting the scope of the privileged protection of lawyers. Finally, under Portuguese law, the scope of rights and duties granted to Portuguese lawyers applies to any foreign lawyers as long as they comply with the Portuguese Bar Association's procedures. Under these conditions, foreign lawyers are also subject to the rules of privilege. When a party intends to gain access to a document held by the other party, it may request the court to order the production of the document within a particular term. If the order is ignored, the court may consider the party's refusal for probative value and impose the reversal of the burden of proof. There are, however, some documents that parties do not have to produce in litigation, such as correspondence between the lawyer and the counterparty or between the parties' lawyers themselves. Furthermore, in relation to the latter, this cannot be considered as evidence by the courts. In relation to correspondence between the lawyer and the counterparty, it is also considered to be privileged and a protected professional secret. In such cases the party can claim a lawful excuse. The court may only deny the lawful excuse if it decides that the document is indispensable for the statement of facts and if the importance of the case overrides the requirement for the protection of professional secrecy. This statutory regime is also applicable to state secrets and to civil servants. When a relevant document is held by a third party (e.g., a parent company), a party may request that the court order the third party to produce it. Foreign deeds have the same legal value as those executed in Portugal, provided that some legal conditions are duly complied with. We note that the public official's signature of the official deed has to be recognised by a Portuguese diplomatic or consular agent in the relevant state, and this signature has to be certified with the relevant consular seal. In addition, in judicial acts, documents must be written in Portuguese. Therefore, when the document required is stored overseas it must be translated and duly certified. The rules applicable to electronic documents are substantially the same as those applicable to any other document. In all cases, the law sets out several restrictions on the production of documents in relation to general correspondence, letters or any other type of mail, which are protected by law, based on the principles of the protection of privacy. Furthermore, the Portuguese Constitution expressly forbids any intrusion into correspondence from the authorities. In conclusion, if a party is notified to produce correspondence in court that is not related to the case in question, it can claim this legal protection. There is, however, an exception in the Portuguese Constitution and in the Criminal Procedure Code related to authorised police searches. If a party is asked to produce electronic documents that are no longer accessible, that party can argue that it is unable to do so. Nevertheless, in criminal proceedings the judges may order a search of the home or other premises of the defendant and in such cases evidence may be found through the reconstruction, or backup, of deleted documents. The greatest flaw of the Portuguese legal system is the length of time that proceedings take. According to the latest data from the Portuguese National Institute of Statistics, the average duration of a civil action at trial is 16 months (this represents a positive development compared to past statistics). In light of the foregoing, both the wider civil society and the government have been encouraging the promotion of alternative dispute resolution (ADR), namely, arbitration, mediation, conciliation and resolution by justices of the peace. In 2001, the government created the Cabinet for Alternative Dispute Resolution, a department of the Ministry of Justice exclusively dedicated to ADR. In recent years, arbitration has been flourishing in Portugal. Parties have progressively added arbitral clauses to contracts and there is a general sense that Portugal may become a privileged forum for arbitrations between companies based in Portuguese-speaking countries such as Brazil, Angola and Mozambique. The Arbitration Law is rather innovative, drawing inspiration from the 2006 version of the UNCITRAL Model Law, and introduces provisions intended to grant more flexibility with regard to the formal validity of an arbitration agreement, making it simpler to comply with the written form requirement. It is now legitimate to state that the Law has increased flexibility in Portuguese arbitration and facilitated the increasing number of arbitral clauses included in contracts. provides that an award will not be subject to appeal, unless otherwise expressly established by the parties in the arbitration agreement (without prejudice to the applicable procedures to set aside the award, which cannot be waived in advance). The leading Portuguese arbitral centre is the Arbitration Centre of the Portuguese Commercial Association. Law No. 74/2013 of 3 September created the Sports Arbitration Court, which became operative in October 2015. As regards foreign arbitration, Portugal is party to the 1958 New York Convention on the Recognition and Enforcement of Foreign Arbitral Awards; however – and although Portuguese jurisprudence is arbitration-friendly, narrowly interpreting the grounds for refusal of recognition or enforcement of foreign arbitral awards – the interested party may also appeal against the decision of the first instance court that recognises or declares the foreign arbitral award enforceable before the Supreme Court, provided that the aforementioned requirements as to the value of the action are met. Thus, parties should always seek adequate guarantees to secure fulfilment of the contracts they enter into, or to secure compensation for the breach of such contracts. Tax arbitration is becoming increasingly common and some decisions have already been handed down. Also, consumer arbitration has increased following the transposition of EU Directive 2013/11UE (Law 144/2015 of 8 September). Law 29/2013 of 19 April establishes general principles applicable to mediation in Portugal, as well as measures on civil and commercial mediation, mediators and public mediation regimes. The Law filled a lacuna where there was previously no specific law or act governing mediation and conciliation. The Law introduced important provisions establishing that any dispute regarding property issues or any rights that may be the subject of transactions by the parties may be submitted to mediation. Another important provision establishes that private mediation settlement agreements are, under specific circumstances, enforceable directly, without the need to obtain from a court or the obligation to execute extrajudicial settlements in mediation centres supervised by the Ministry of Homologation Justice. the settlement must be reached with the intervention of a mediator included on the Ministry of Justice's public list of mediators. The Mediation Law also includes provisions on the training, duties and rights of mediators, as well as the rules applicable to public mediation frameworks. Despite the Mediation Law, in Portugal, mediation and conciliation settlement agreements are traditionally negotiated between the parties' attorneys; in the majority of the cases, during pending lawsuits. Parties are usually very reluctant to use mediation and conciliation. Besides arbitration, mediation and conciliation, the most popular form of ADR is conducted by a justice of the peace, which is governed by Law No. 78/2001 of 13 July 2001 (as amended by Law 54/2013 of 31 July, which broadened the scope and jurisdiction of justices of the peace) and numerous centres have been created under the supervision of a special commission. Justices of the peace are only available to settle disputes between individuals and they have jurisdiction on civil matters concerning small claims (up to €15,000). 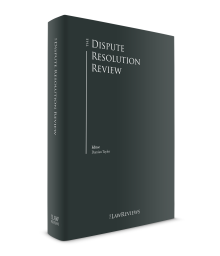 Under the new legal framework on justices of the peace, legal persons may now resort to mediation (except in class actions), and preliminary injunctions are now available. Between 2001 and 2014, approximately 82,500 claims were heard (with a success rate around 95 per cent). Justices of the peace must have a law degree, but need have no further legal education. The Portuguese Supreme Court has held that the jurisdiction of the justices of the peace is concurrent with that of the courts.10 While justices of the peace are proving useful in simple disputes, strong suspicion still remains about the quality of their decisions on the merits of the cases concerned. All in all, the current year, much like the previous one, has not seen many legislative reforms to the judicial system. Although the filing of financial and banking litigation proceedings has decreased, it is still one of the most significant areas of litigation and one of the subjects that is keeping the Portuguese courts occupied. During 2018, there was a reduction of 13.2 per cent in the number of the pending actions before the Portuguese civil courts, which means that the number of proceedings that were concluded was higher than the number of actions filed. The average length of civil actions at trial has also decreased. No direct correlation can be established between this decrease and the recent reinstatement of the first instance courtrooms and the improvement of the digital access to court proceedings, since this decrease has taken place over the past few years. The reduction of pending judicial proceedings and of their duration may be due to a number of factors, including the increasing resort to ADR, the high costs of litigation and also the country's economic stabilisation. 1 Francisco Proença de Carvalho is a partner and Marina Gallo Sarmento is an associate at Uría Menéndez – Proença de Carvalho. 2 Before the new Civil Procedure Code entered into force (on 1 September 2013), private documents signed by the debtor were considered to be an enforceable title. Under the new provisions of the Civil Procedure Code, this was deemed no longer to be the case. On 23 September 2015, the Constitutional Court held that it was unconstitutional for such provisions to operate retroactively regarding private documents. Thus, private documents signed before 1 September 2013 still constitute an enforceable title (Judgment No. 340/2015). 3 Law No. 32/2014 of 30 May and Ministerial Order No. 233/2014 of 14 November. 4 Law No. 1/2016 of 25 February. 5 As amended by Council Regulation No. 17/2013, 13 May. 7 As amended by Council Regulation No. 1496/2002, 21 August; Council Regulation No. 1937/2004, 9 November; Council Regulation No. 2245/2004, 27 December; Council Regulation No. 1791/2006, 20 November; Council Regulation No. 1103/2008, 22 October; Council Regulation No. 280/2009, 6 April; Regulation No. 416/2010, 13 April; Regulation No. 156/2012, 23 February; Regulation No. 566/2013, 19 May; and Regulation No. 263/2015, 19 February. 8 Law No. 63/2011 of 14 December. 9 Law No. 31/86 of 29 August 1986. 10 Decision No. 11/2007 of 24 May 2007.